If you head on over to Sony's website today, the company will warn you not to use its Xperia smartphones while underwater. That might come as a surprise, especially as Sony has repeatedly touted the waterproof capabilities of its devices in the past. But really, you shouldn't be doing it. XperiaBlog points out that the handset maker is now taking additional measures to discourage the practice, and has updated its website to help customers avoid making a costly mistake while at the pool. 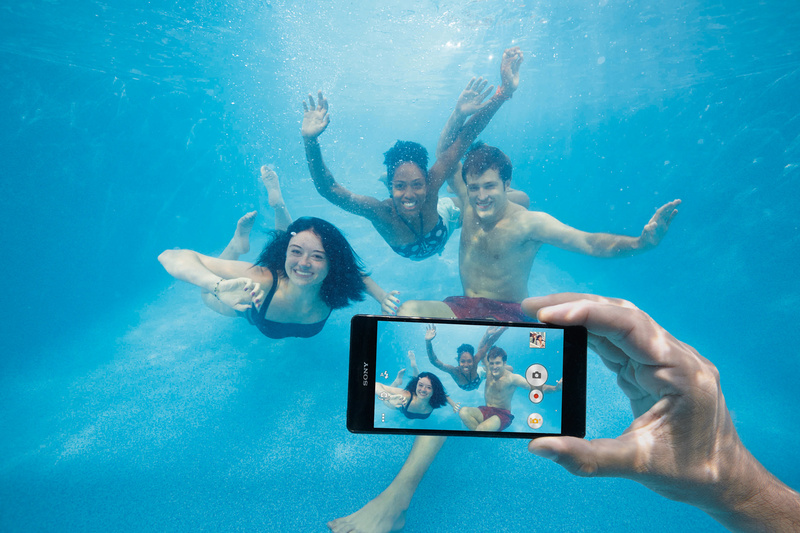 In describing what its phones are capable of, Sony says: "Remember not to use the device underwater." To receive an IP68 rating, a phone must be able to withstand liquid under pressure for "long periods." It has to remain leak-proof down to 1.5 meters for 30 minutes. Sony's phones can do this -- they've passed the test. Sony explains: "The IP rating of your device was achieved in laboratory conditions in standby mode, so you should not use the device underwater, such as taking pictures. It also says: "Do not use the device to take photos while performing any type of activity underwater, including diving or snorkeling." It's important to note that Sony issued these warnings for the Xperia Z3+, but they now also cover the company's latest flagship: the Xperia Z5. Because Sony isn't required to operate an Xperia handset while it's being subjected to water and dust tests, the phone maker is reinforcing the fact that its devices were never intended to be subjected to a shallow dive. What should you do if you own a top-end Xperia? Well, you're clear to use it in "wet surroundings." You can probably use it briefly while underwater, but that's completely on you. Sony is just trying to set expectations and stop you from invalidating your warranty, even if it kind of flies in the face of previous marketing campaigns.